Product prices and availability are accurate as of 2019-04-19 02:59:36 UTC and are subject to change. Any price and availability information displayed on http://www.amazon.com/ at the time of purchase will apply to the purchase of this product. 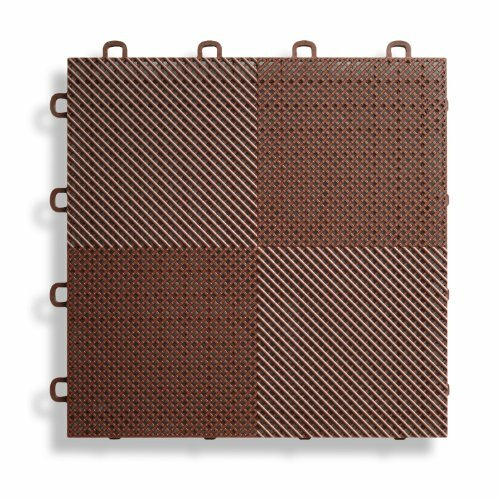 Transform any concrete patio or wooden deck floor using our Perforated Interlocking floor tiles, which appear two-toned when viewed at an angle! Each tile measures at 12 in. x 12 in. x ½ in. thick and are made in the USA. These tiles are made from high-impact polypropylene (plastic) making them rigid and durable. Therefore, they can support heavy loads such as: large patio furniture, SUVs, large pickups, heavy tool chests, rolling lifts, and other large items. In addition, the high-impact polypropylene material is colorfast and features maximum UV protection. With proper care, the tiles will retain their color. The tiles feature a four loop-to-peg interlocking system making installation hassle-free. 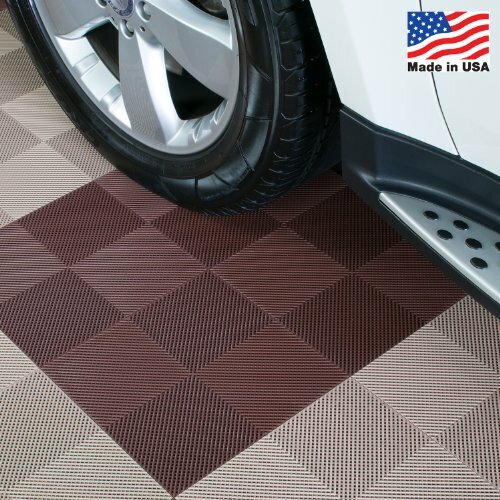 The base of the tile provides a non-slip texture and a comfortable walking surface. 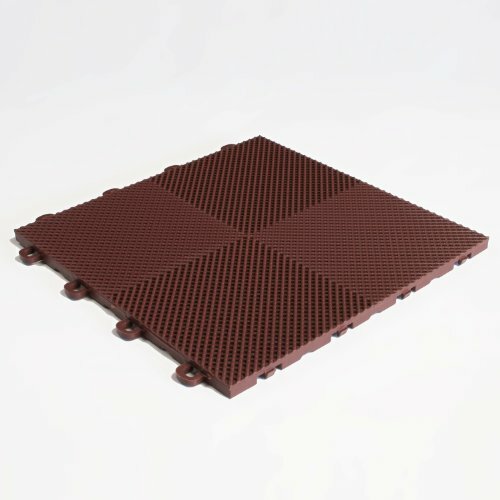 Underneath the drain tile, there is a grid structure that allows airflow and water to drain out on a sloped surface. After they are installed, keeping them clean is easy with just water and mild soap. They are the perfect finishing touch to any Deck Flooring, Garage Flooring, Home Workshop, Basement Flooring, Patio Flooring, and Sport Court when you are wanting to create an eye-catching area. Please understand that the colors represented on your monitor device may differ slightly from the actual tile. In case you are uncertain of the color or construction of the tiles, please contact us at 1.877.595.2040 for a free sample.